Coming back to Uganda has been a surreal experience. I fell in love with the country and its people after spending four months here in 2012 for my primatology research. In my experience Ugandan’s are generally bubbly, happy and helpful. So far after 2 days in the country this memory has been reaffirmed. The biggest surprise for me is how much the country has physically changed. The landscape has seen rapid development. 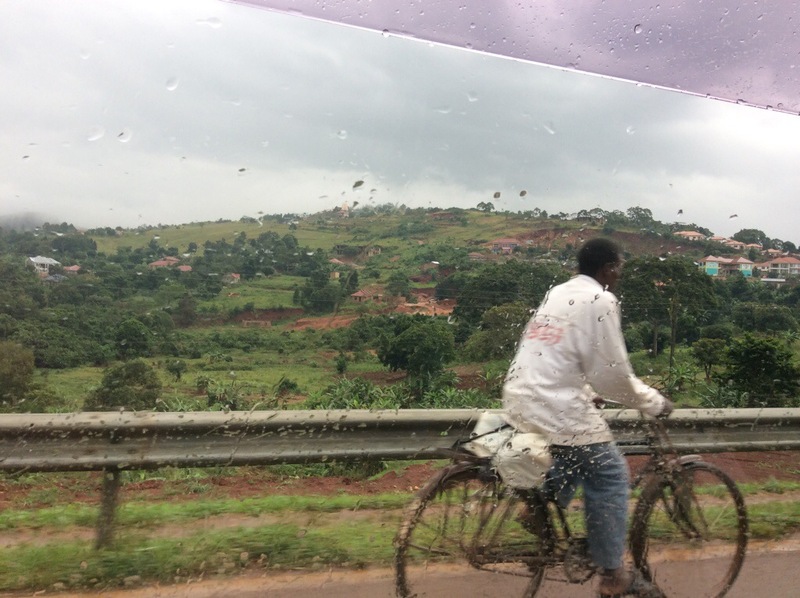 The road from Entebbe to Kampala is almost unrecognisable to me. A large multi million pound hotel is being built with its pyramid top clearly visible from the road. 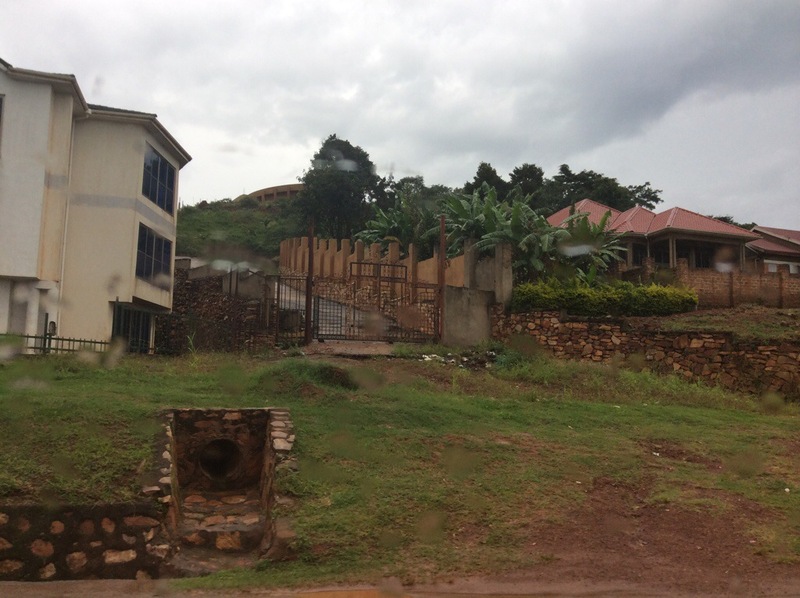 Then there are several posh gated houses as well as flats which flank either side of the busy highway. Kampala is still the chaotic bustling city I remember. Far too many boda-bodas and matatus. Too many people rammed into rusty vehicles that are too small to cope with the load. Surprisingly the roads I pounded in the five days I spent in the city in 2012 I still remember vividly. Probably because at that time I was on my own absorbing the sights and sounds like a sponge. Yesterday I managed not to get lost. Yes I am feeling somewhat smug! I confidently got to the old taxi park travelling by a mattatu which I picked up on Jinga Road. 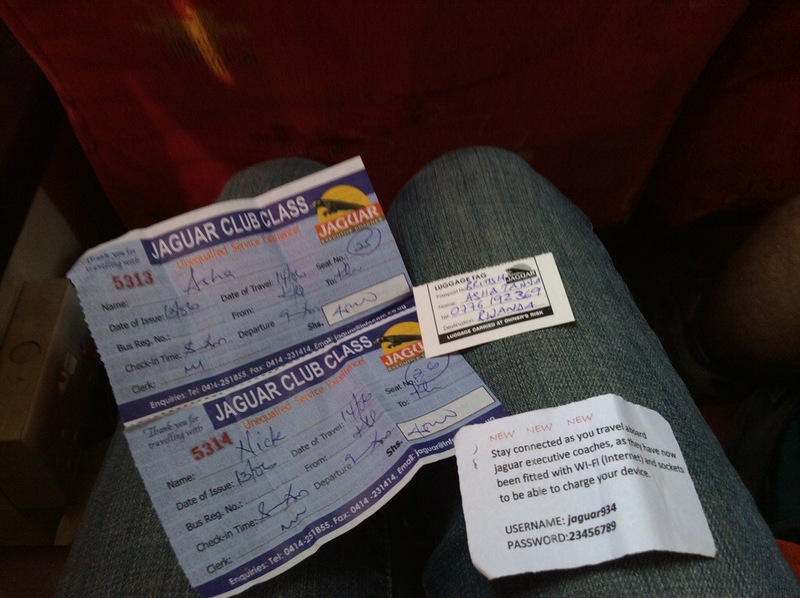 Then I got off to go on foot to the Jaguar Taxi Park to buy a bus ticket. I am here with Uncle Charlie (UC) who flew in from Kenya to meet me in Uganda. UC I met in Nairobi, Kenya, last year at the United Nations/Interpol wildlife crime conference in November. We spent five hours gabbing on my last day as we did a safari together and have since skyped and emailed. 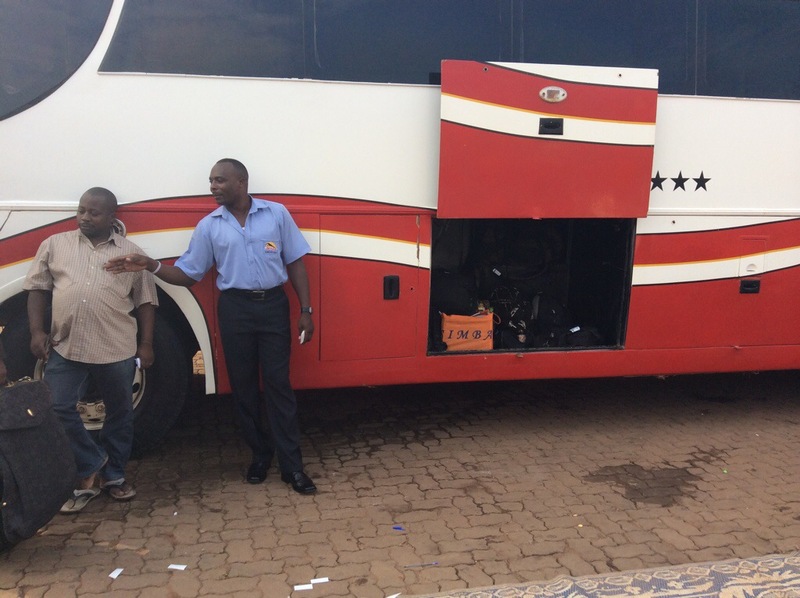 Together we are taking a bus across country this morning to Rwanda. 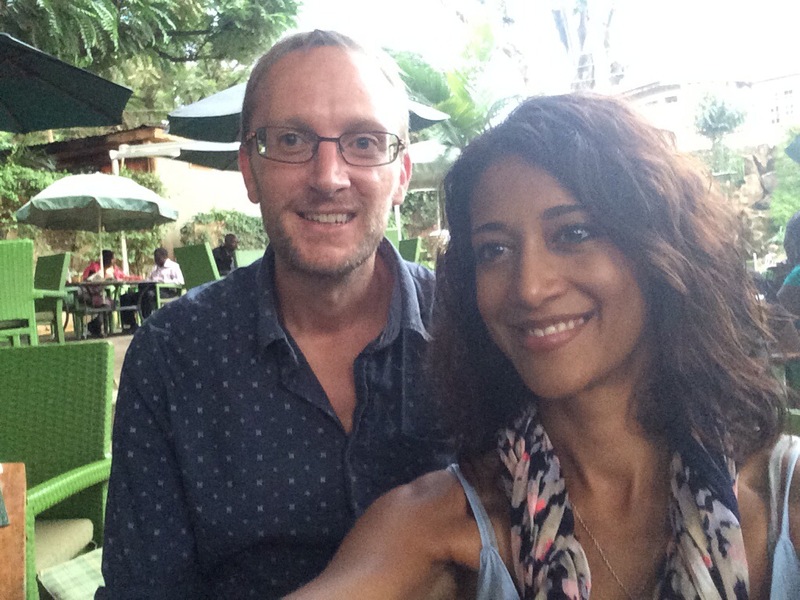 Both of us share a love of primates and we are going mountain gorilla trekking. UC also works full-time in ape conservation and has lived in Africa for almost 7 years. It was like showing him around London, every corner I knew what was coming next. Surreal. Last night I took UC to meet my friends. We had a mini reunion with some of the Ugandan students I have faithfully remained in contact with. They travelled far to meet us, Nancy came all the way from Gulu in the north of the country (a 6hr bus journey) to see me. It was amazing to see everyone. They haven’t changed and it was wonderful to share a meal with them at the rather up-market eatery Faze 2 in the city. A pretty courtyard with live music and as Ricky puts it, “The best pork in the country”. We swapped stories about what we had been doing for the last few years. Philip is now married with a child and has a job working for a petroleum company as an environmental advisor. Nancy has a job with a Germany company working with livestock and crops; Ricky and Herbert are completing their Masters and looking ahead to jobs and maybe starting families in a few years time. We also reminisced about our time together in the field, the challenges we overcame and our future plans. I’m so proud to know them, they really are remarkable young people. This morning I’ve woken up with a bounce in my step. I’m excited to hit the road. The bus journey will be epic. It leaves at 9am and we should get to Kigali at around 7pm. UC and I are travelling on the “executive” bus. I had no idea what that meant when I bought the £10 ticket yesterday. Well…let me educate you. 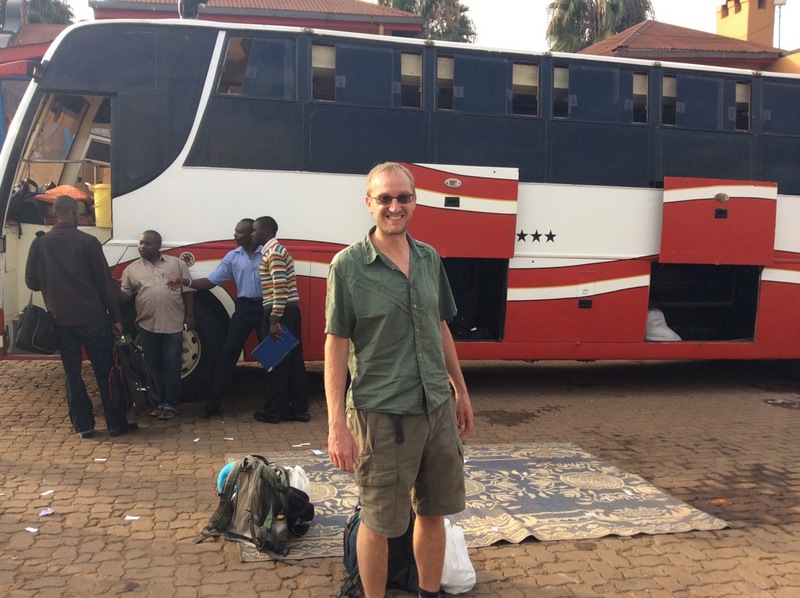 I am still trying to recover from shock myself as I blog from the bus!! Yes, blog from the bus. There is free wifi! It’s a miracle. 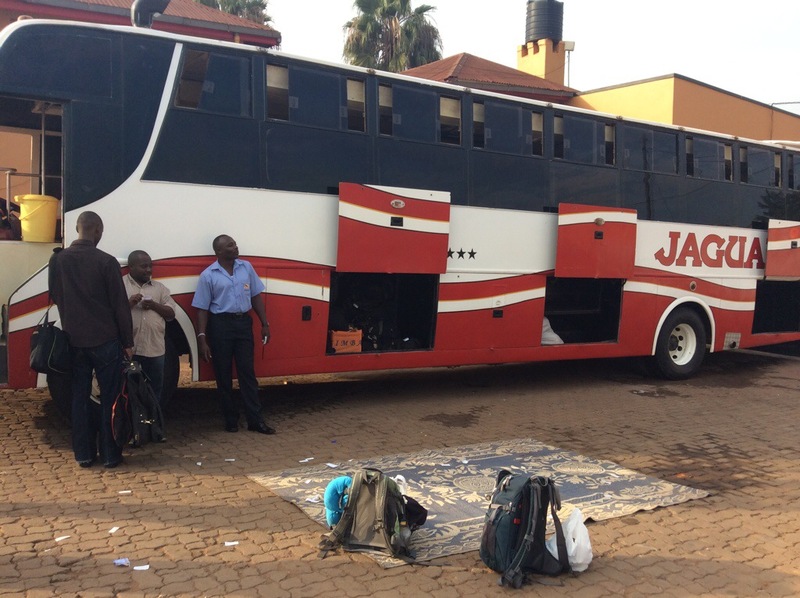 The bus left on time, 0901 (ok one minute late), there is leg room and the seats are more comfortable that the Link Bus to Masindi and you can store your luggage in the boot without having to pay for another seat. This will be a very comfortable journey indeed. ← Drilling stopped in Virunga National Park but for how long?